Sit back with some eggnog and enjoy a fresh version of the Christmas story - retold by Insight for Living host Swindoll! Combining regal mystery and humble human experience, he weaves the perspectives of Gabriel, Mary, Joseph, and Immanuel into a unique and joyful glimpse of the baby who changed the world. 192 pages, 5" x 7" hardcover from Countryman. 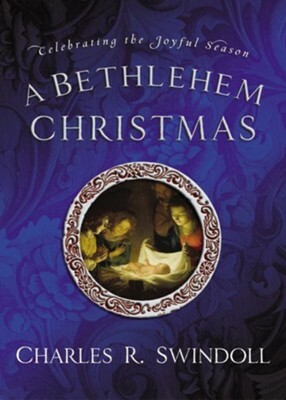 I'm the author/artist and I want to review A Bethlehem Christmas: Celebrating the Joyful Season - eBook.